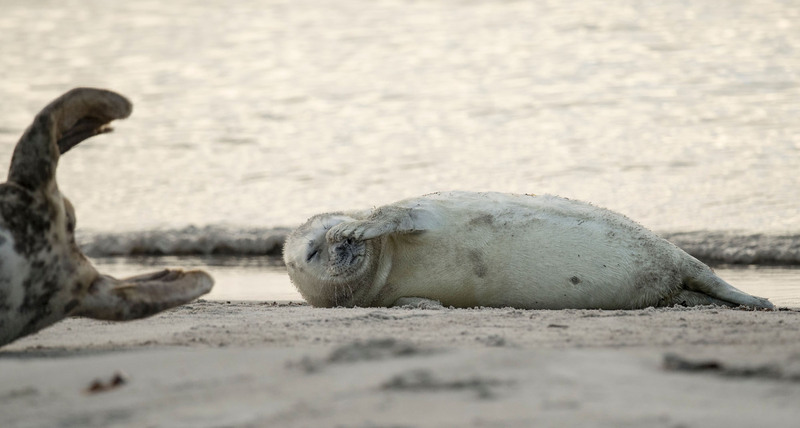 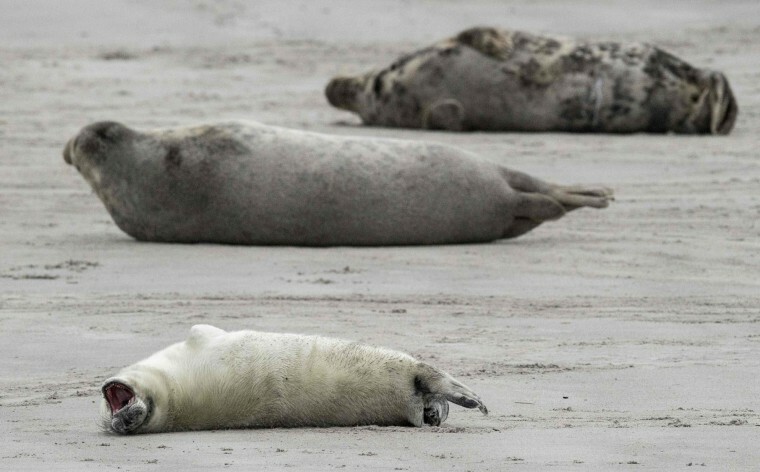 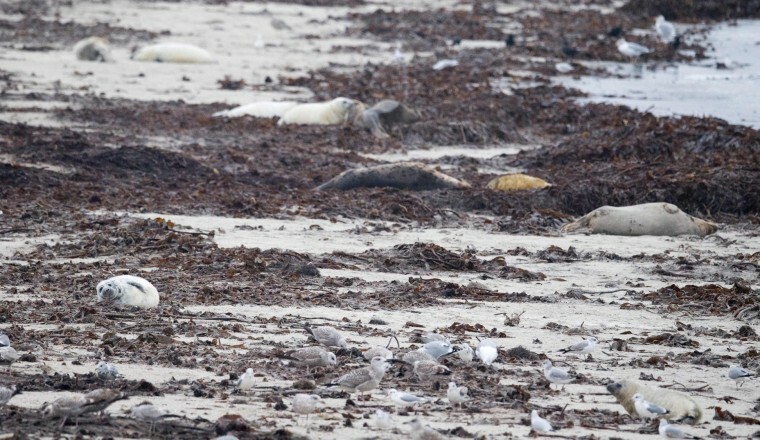 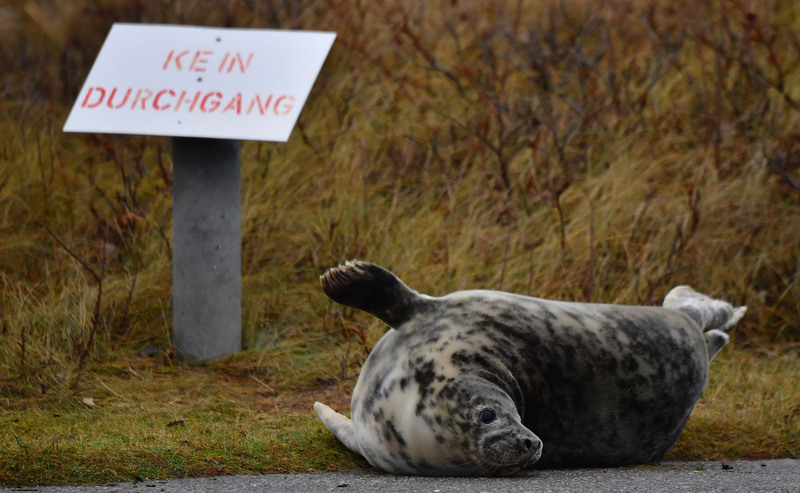 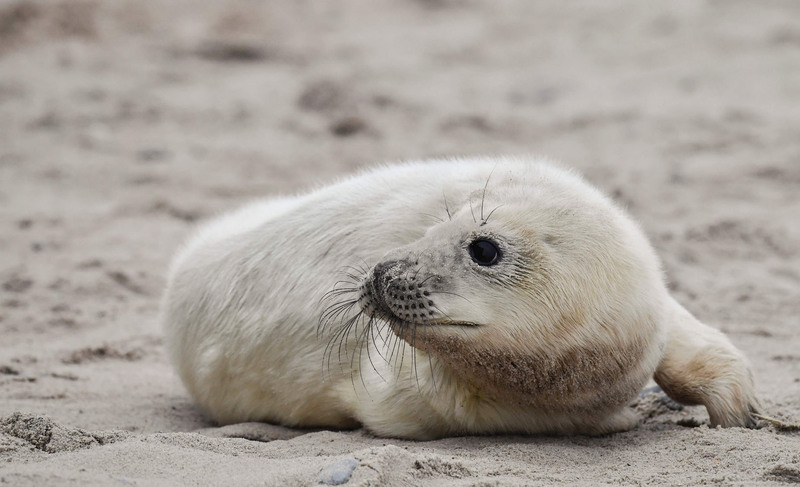 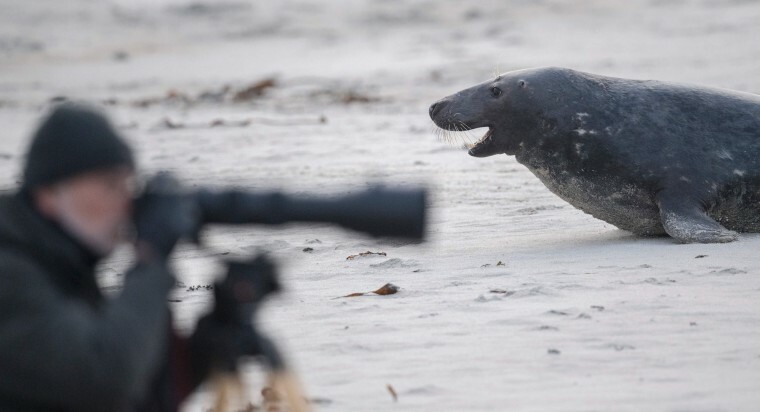 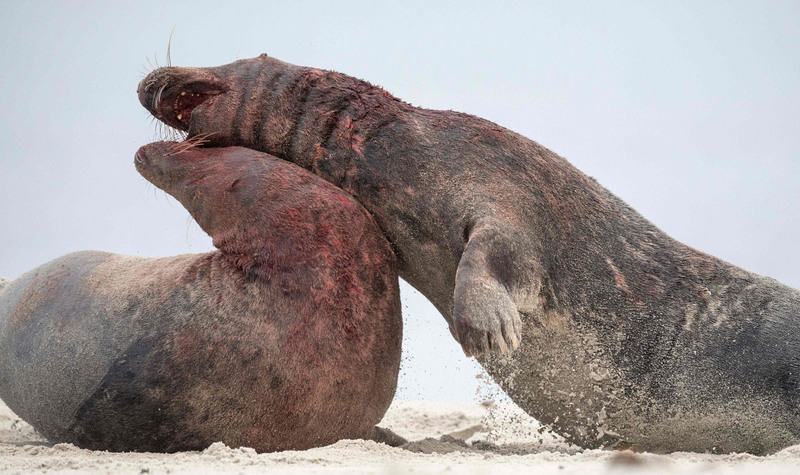 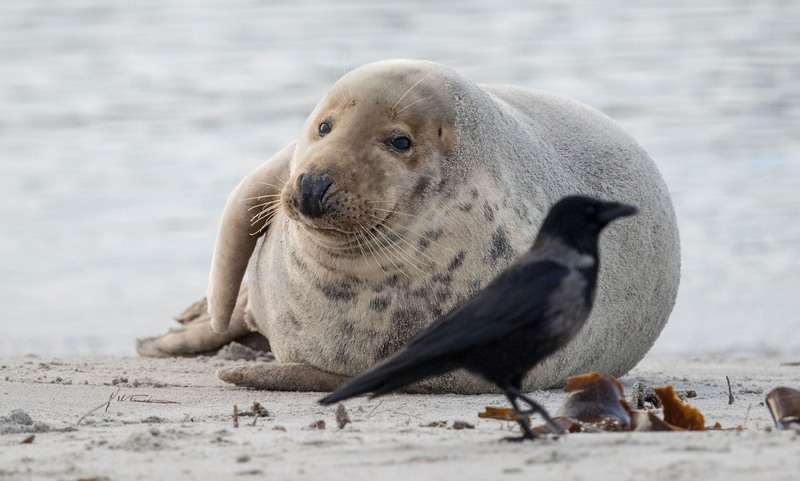 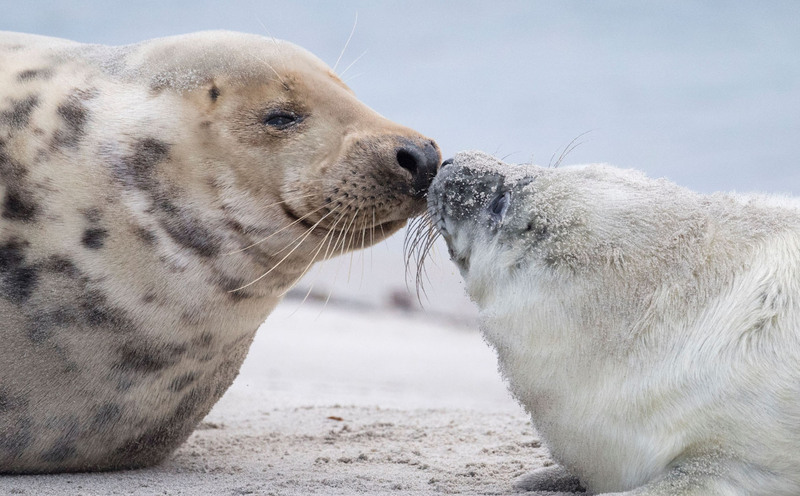 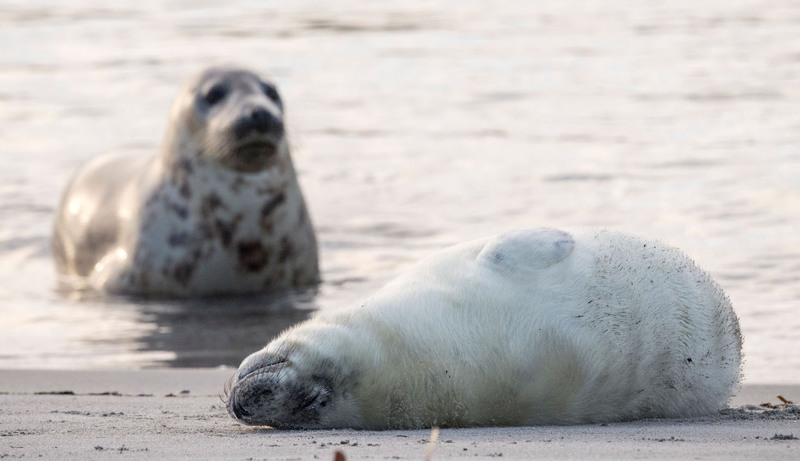 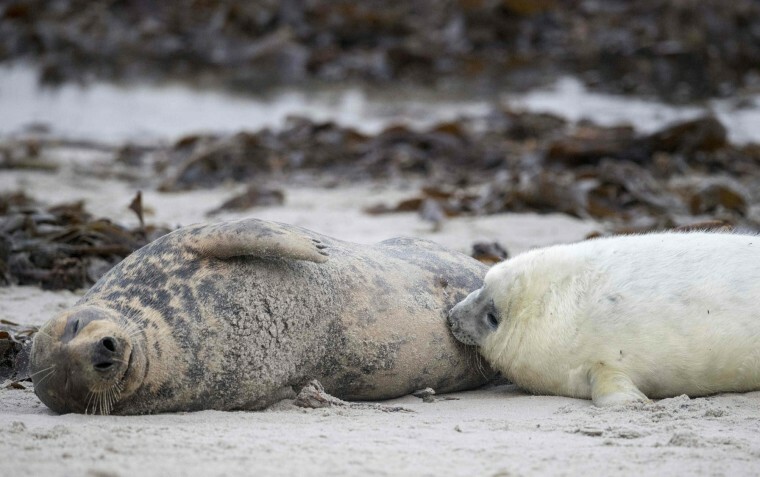 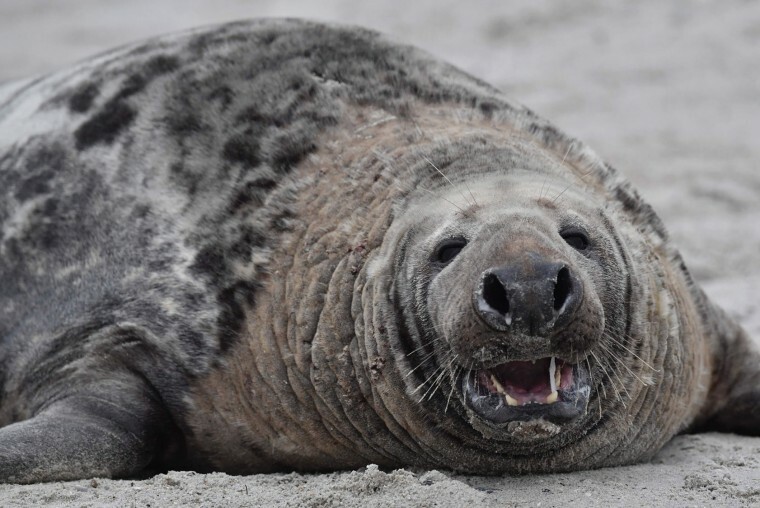 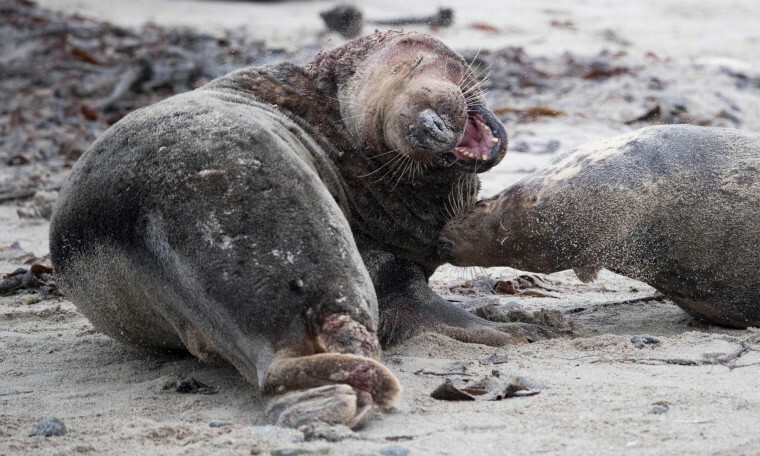 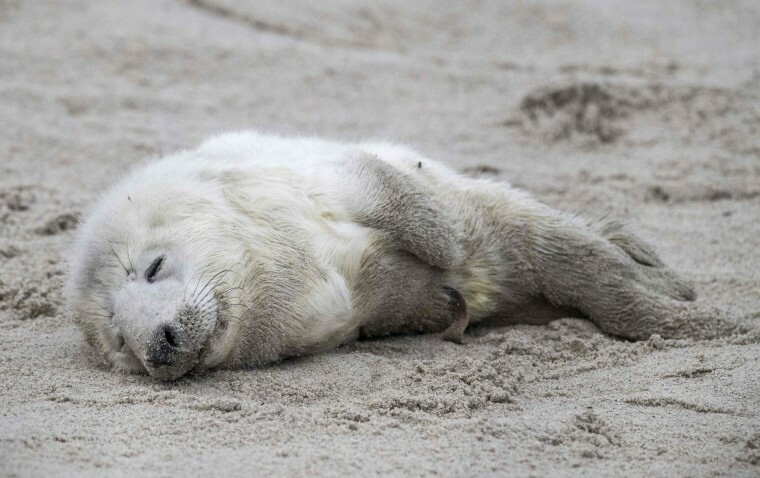 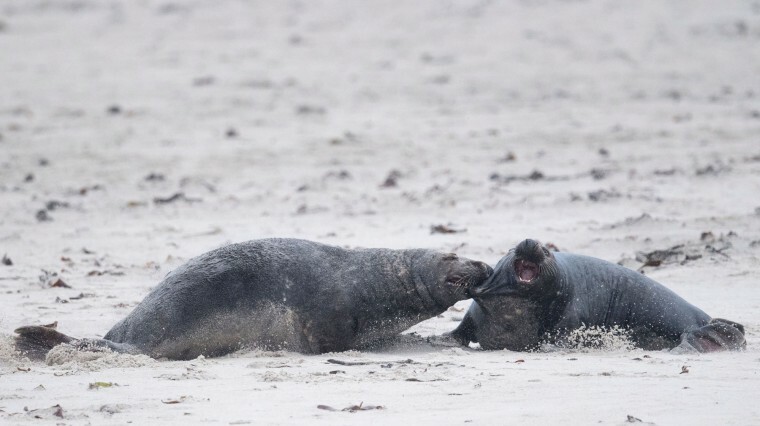 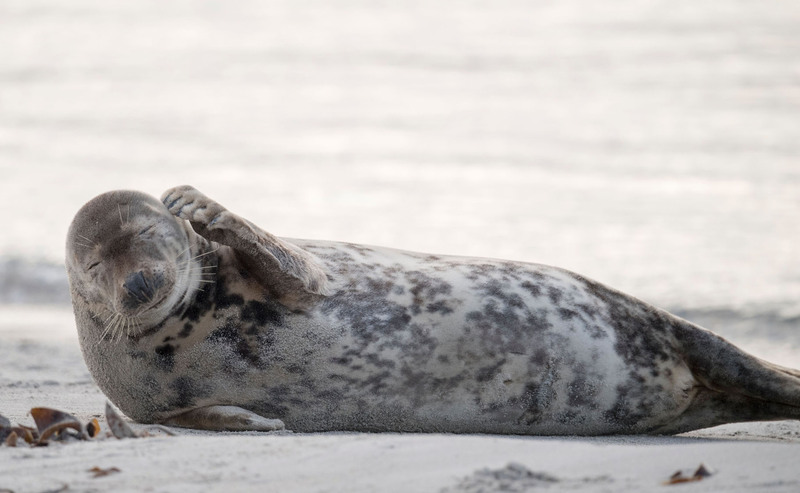 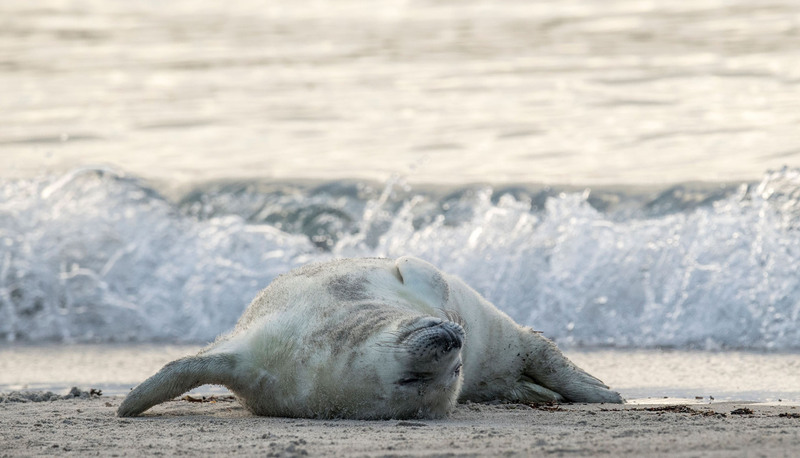 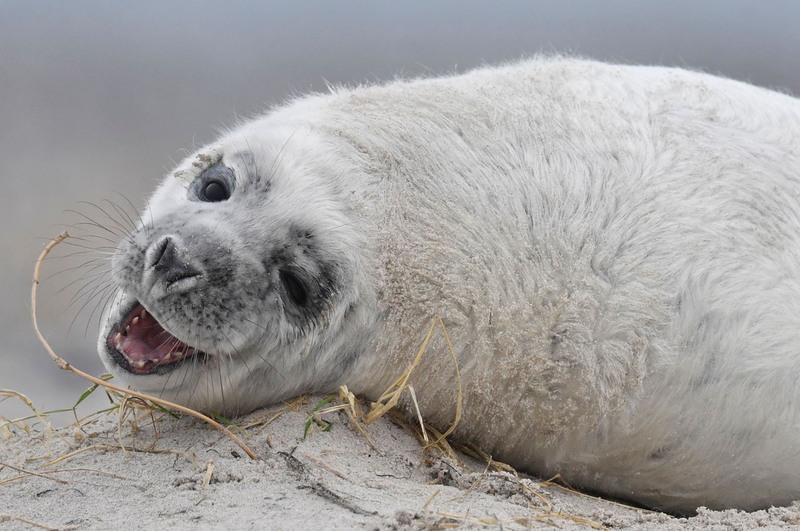 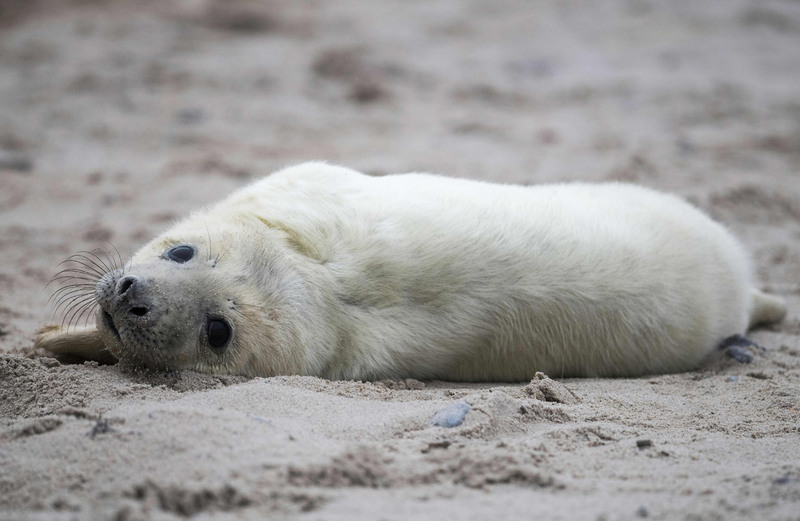 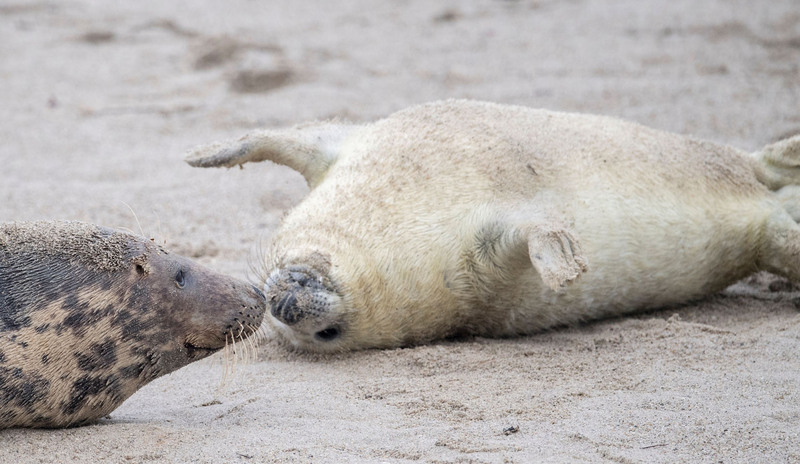 Hundreds of grey seals use a beach on the North Sea island of Heligoland, Germany to give birth to their pups, usually between the months of November and January. 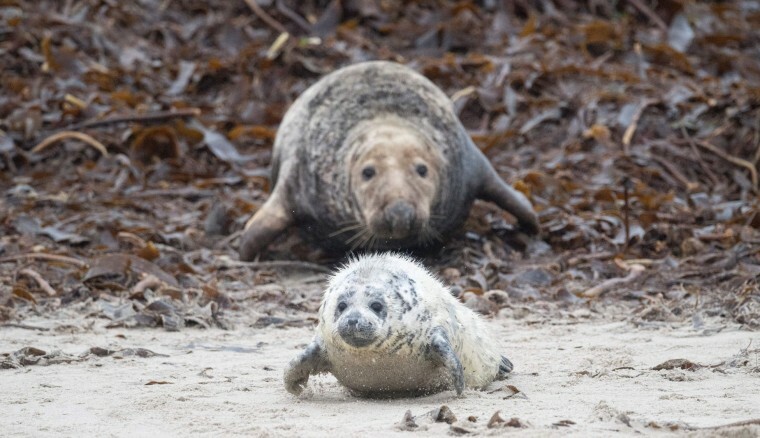 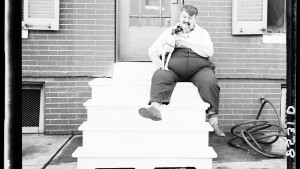 The pups, after three weeks of nursing, are then left to fend for themselves. 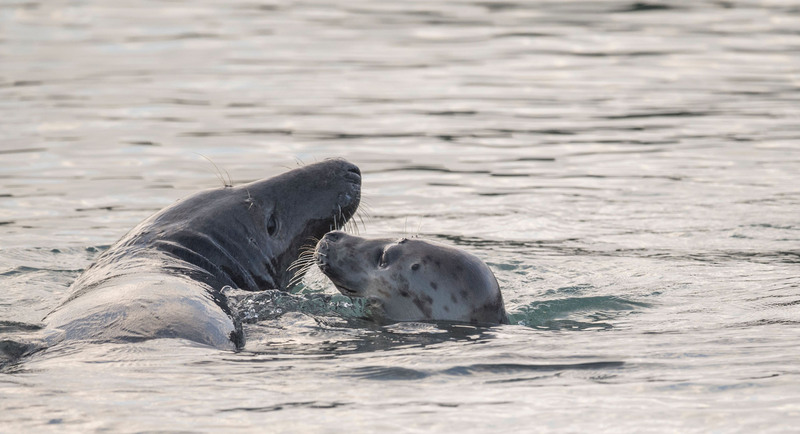 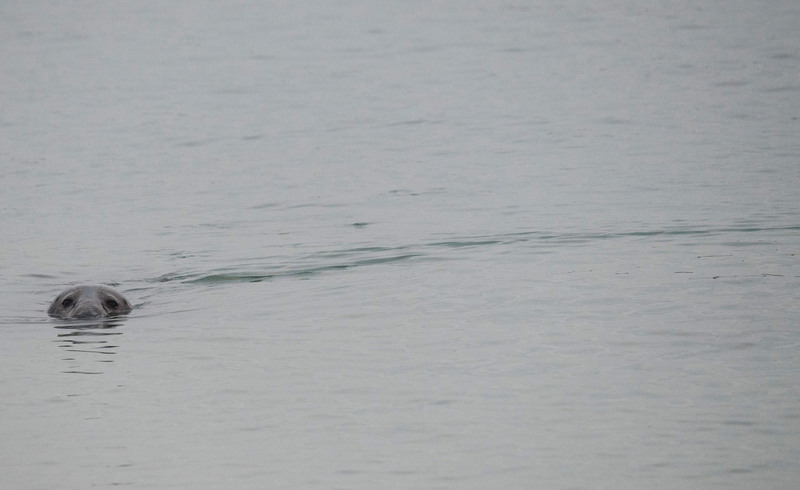 This year has seen a record number of new pups, with 320 births recorded up to December 14.